What controls do you have in place to ensure compliance? Yes, Axiom abides by strict Good Manufacturing Practices and had developed the Safeguard System™ in order to ensure product integrity throughout the entire process- from receipt of materials to delivery. Additionally, we have put a New Business Review (NBR) in place so that your order is reviewed with a panel of quality, production, and customer service experts focused on your specific requirements to insure your product performs effectively. If you need quick turn, we have the capability and capacity to provide 1 and 2 day turnaround. Artwork can be uploaded electronically and our innovative proofing system will limit the need for on site press checks. What does your pre-press department do? The Axiom pre-press department reviews your artwork and will advise on the best trap and color breakdown to ensure that you will get the results that you want. Pre-press can also recreate or develop artwork as well. Of Course! 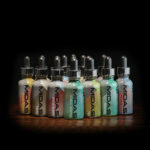 Contact us today and an Axiom representative will be ready to discuss your custom label solution needs. I know you print labels, but can you print pouches? Yes! Axiom can print on a variety of flexible packaging and medical device pouch material. With 13” wide web capability and up to 10/color printing, pouch products, both large and small can be produced both economically and efficiently. We do provide vendor managed inventory. Blanket orders equals better pricing and immediate availability for your label needs. Our Labeltraxx System is a customized MRP system for the roll to roll converter, which ensures real-time inventory tracking. There is a minimum qty required. Please call 877-421-8831 to discuss your needs. I can't fit all the text I need on my label, do you have a solution? 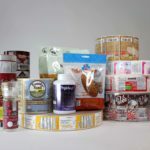 Yes, at Axiom we have an array of Extended Content Label (ECL) solutions that were designed to meet additional copy needs such as additional ingredient copy, international requirements or multi-lingual instructions or ingredients. 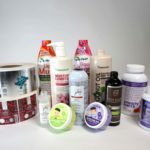 Four proprietary ECL custom label solutions include “Reveal Estate”, “Twin Pack”, “Tri-Pack” and the “Promo Pack.” Click here to read more about how these different ECLs can meet your needs. Can you do a small run of labels for my product's test launch? Yes! Digital technology is your answer to printing short run- as few as 100. Using the HP digital presses, you can print multi-colored and multi-copy labels far more economically because there is no need for plates. Can you create a coupon label for my product? 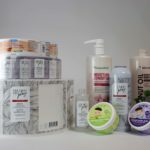 Yes, we think the best label solution for this is our “Promo Pack.” The Promo Pack is a custom tri-folding extended content text booklet that can be printed with up to 13 colors. This solution is ideal for extended content constructions and coupons where there is a need for ingredient additions, recipes, cross-promotions and game pieces. Can you create a multi-lingual label? 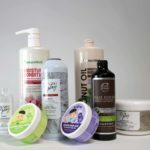 I need to number each product label with a unique number, can you help? Yes! We have developed a proprietary consecutive numbering system that can create consecutive and alpha numeric numbering integrated into your custom product label. This can be done whether you are printing 500 or 500,000 labels. What is an extended content label? 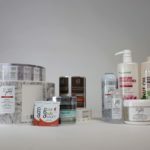 Extended Content Labels (ECLs) are custom label solutions that Axiom has developed to meet the changing needs of product marketers and manufacturers. 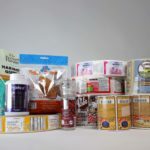 With new copy and multi-lingual requirements consistently being added to product label copy, we created an array of ECL custom product label constructions to make adding additional copy simple.